Efficient and uniform enforcement of international environmental regulations for ships is a precondition for achieving the intended impact of the regulations in practice and for ensuring fair competition. From 1 January 2015, new and stricter requirements for ships’ sulphur emissions take effect in the ECA areas. The regulations stipulate that, in the future, ships must use fuels with a low sulphur content or clean the smoke of sulphur. Since both low sulphur fuels and cleaning technologies are significantly more expensive than conventional fuels, there will be a not inconsiderable economic incentive to not comply with the regulations. Consequently, enhanced enforcement of the regulations is of considerable importance to the port authorities around the world. 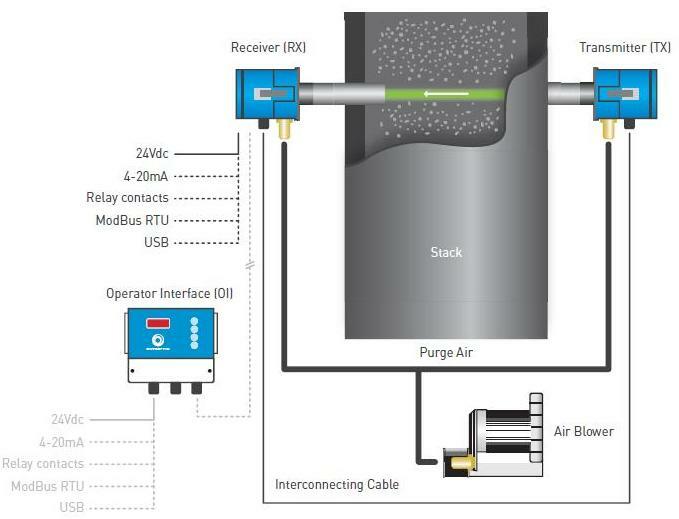 The Particulate Monitor is an optical instrument designed to measure the concentration of dust or particulate matter in an exhaust gas passing through a duct, stack or flue. 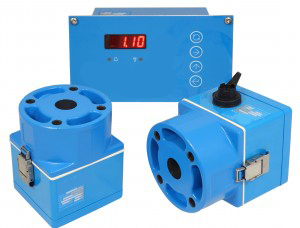 The 230 Series uses the single pass light transmission measurement technique, with Transmitter/Receiver arrangement. A light beam emitted from the Transmitter passes across the stack to a Receiver, which measures the intensity of the received light. Increased smoke density in the stack gas attenuates the transmitted light and causes the intensity of the received light to fall. When calibrated against standard reference measurements, this reduction in intensity can be used to calculate the smoke density and present a reading in mg/m³. Port Authorities and Governing Bodies state that a ship cannot emit smoke of >20% opacity for more than 3 minutes when in port. The IMO set similar limits for on-board incinerators. The 220 Series Opacity Monitor has been used successfully to measure smoke emissions from diesel engines, incinerators and boilers on board ship ensuring that environmental concerns are met.